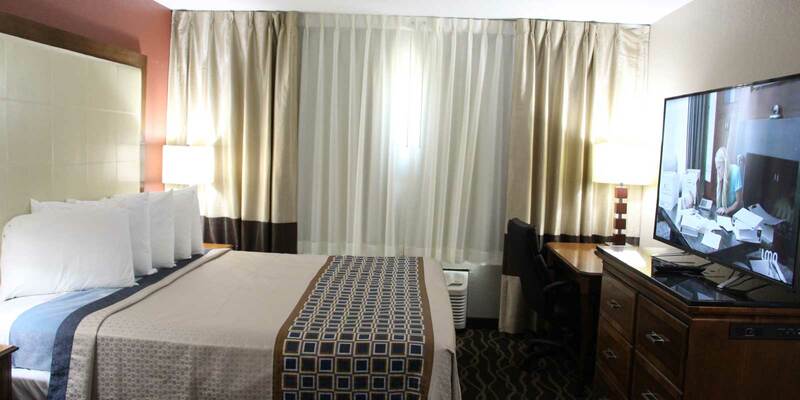 Westbridge Inn & Suites at Centerville Offers 22 rooms of Complete indoor lodging & 30 rooms of outdoor lodging at an Affordable price. 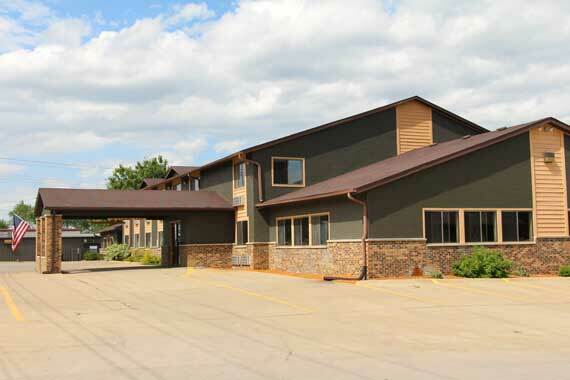 Westbridge Inn & Suites is Newest Hotel in Centerville IA. Highly Rated and Highly Visited Hotel in Town. In our indoor swimming pool on the ground floor of our Hotel you can really enjoy a “swimming holiday”. Whether the sun is shining or it’s raining, our Hotel with indoor swimming pool means you can still have fun in the water. 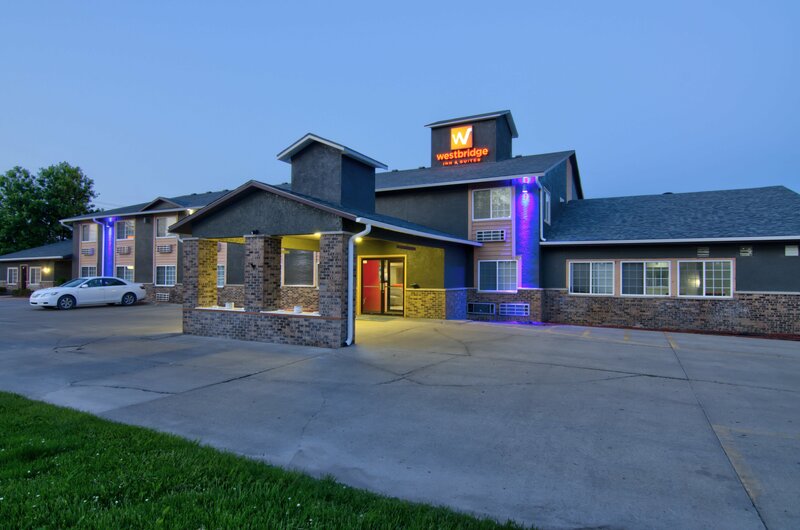 We at Westbridge Inn and Suites are a dedicated team of trained professionals in the hospitality industry, eager to serve people in search of a night of comfort and sound sleep in Centerville, Iowa. Focused on providing accommodation at an affordable price, our services include everything that will make your stay with us one where you can find the luxury without breaking your bank. Over the years, with experience and training, we have made ourselves distinguished in the whole Appanoose County. 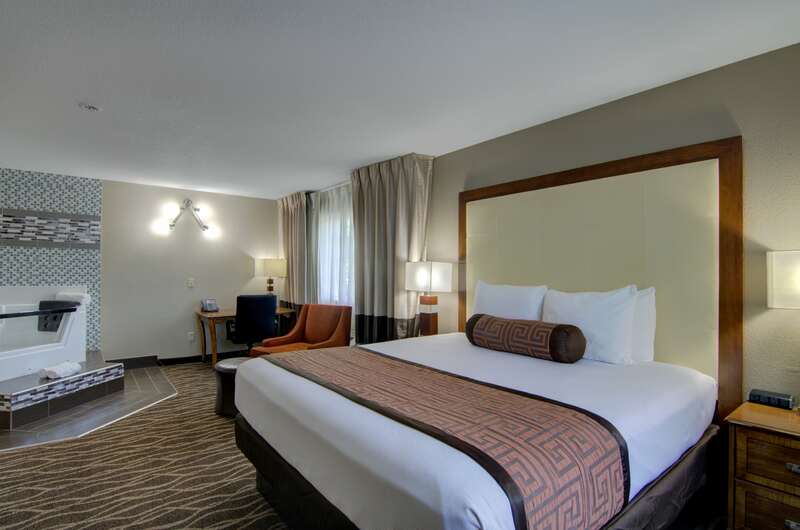 Here at Westbridge, you are assured to find lodging with all the amenities that will make your stay with us unforgettable. Only 10 minutes away from the Appanoose County Courthouse and Museum, Westbridge offers its guests the opportunity to visit local attractions and sites, only a close distance away from their accommodation. We make sure that whether you are staying for a whole week or just one day, you are treated with the most courteous and cordial hospitality that you deserve. 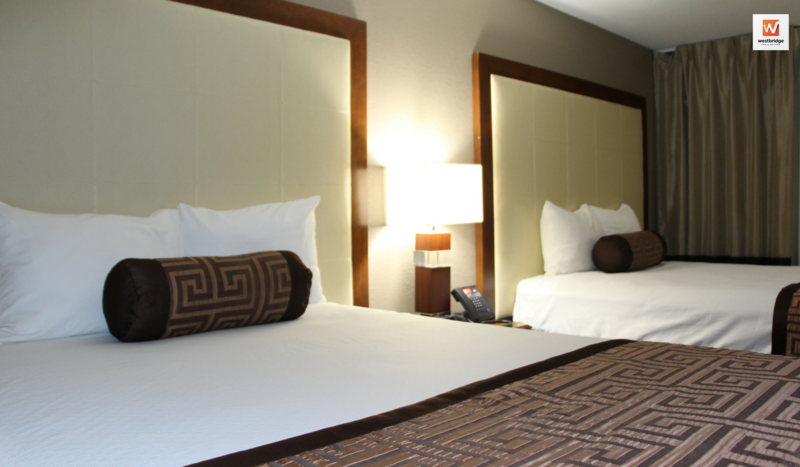 We assure you that your stay at the Westbridge Inn and Suites is as comfortable as we can make it. 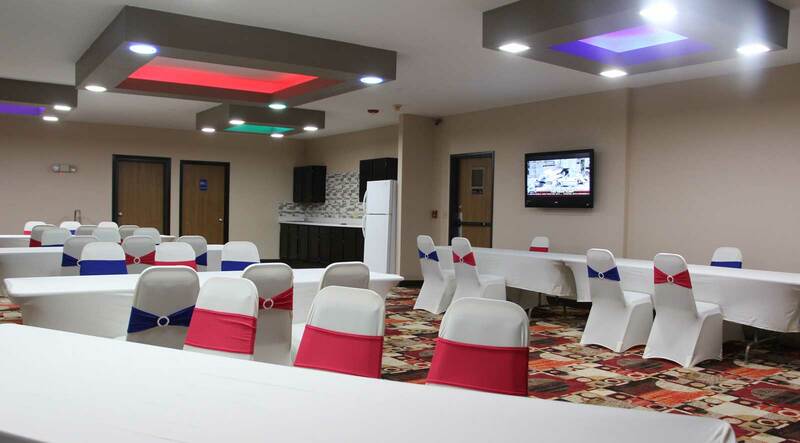 An indoor pool and conference rooms are available at this motel. 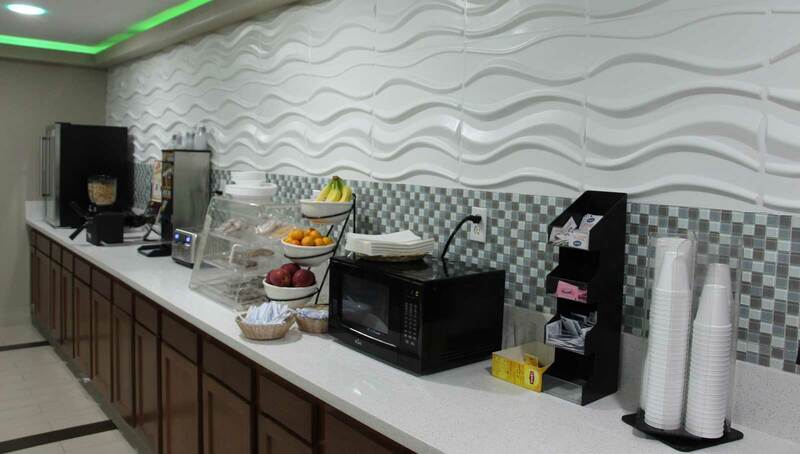 Free continental breakfast, free WiFi in public areas, and free self-parking are also provided. Other amenities include a 24-hour front desk. All 52 rooms provide conveniences like refrigerators and coffee makers, plus free WiFi and 55" 4K LED flat-screen TVs with cable channels. Other amenities available to guests include hair dryers, showers, and ironing boards. Westbridge Inn & Suites recognizes the ever growing needs for pet-friendly accommodations. We strive to offer our guests and their furry friends a comfortable stay and have done our best to ensure consistency at all of our pet-friendly Hotel. In our indoor swimming pool on the ground floor of our Hotel you can really enjoy a “swimming holiday”. Whether the sun is shining or it’s raining, our Hotel with indoor swimming pool means you can still have fun in the water. Pool Will be under maintenance from September to mid-October. 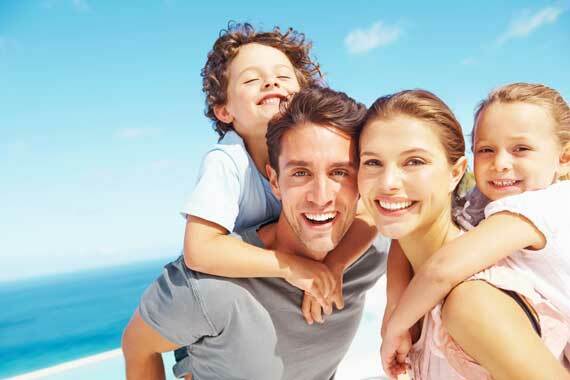 All Local calls are free at Westbridge Inn & suites. Keep calling and enjoy your stay. 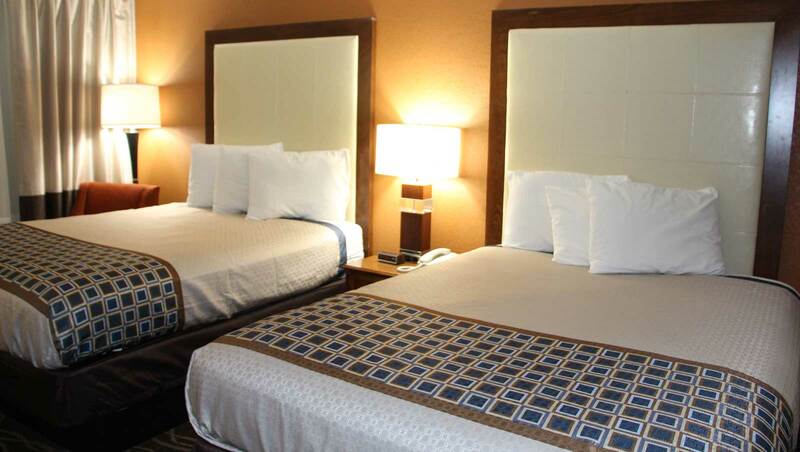 At Westbridge Inn & suites, service animals and well-behaved pets are welcome. They are permitted unless they pose a health, safety risk or are prohibited by law. Pet limit of 2 pets per room. Pet fees will be charged at Check Inn. Our Delux breakfast includes hot coffee, tea and cocoa as well as apple and orange juice. Choose from cereal, fruit, yogurt, waffles, white and wheat bread for toast, and variety of delicious Pastry – perfectly delightful after warm-up in the microwave for 20 seconds. Welcome to Westbridge Inn & suites with your truck and Don’t worry about Truck Parking or easy in out, we offer one the best easy in & out Truck Parking. Call us now & Book your room with a trucker discount. 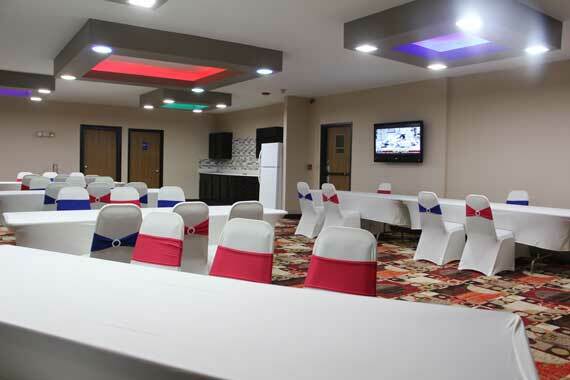 Whether you're planning a large wedding, a family reunion or a small social gathering, Westbridge Inn & Suites has the perfect accommodations for you. We'll provide those extra details to make your special event a successful and memorable experience. When you are ready to speak with a hotel in greater detail about your special event or to get information on event space pricing and details, please contact our hotels directly.